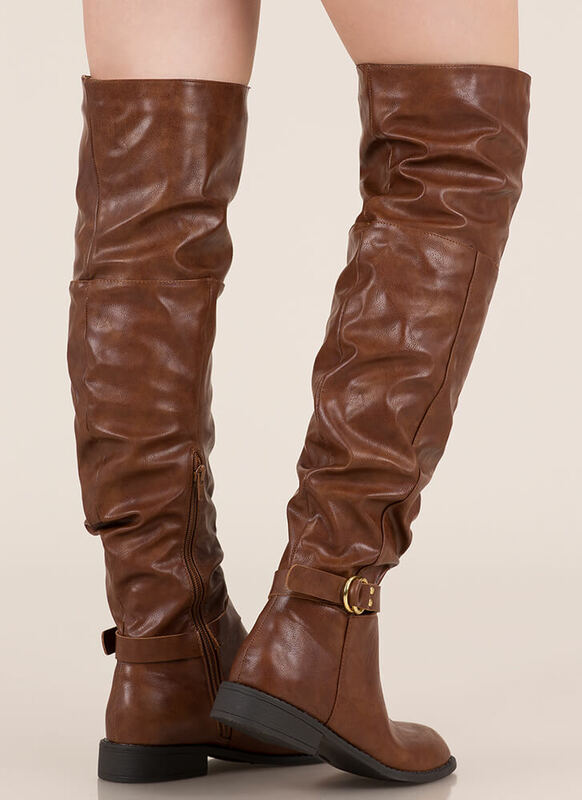 If we're rounding up our favorite boots, these babies might be on the top of the list. 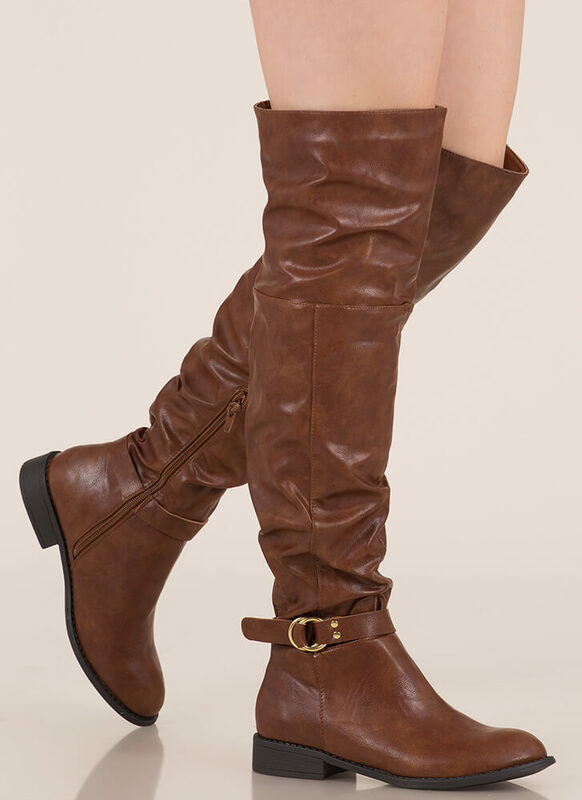 Vegan leather over-the-knee boots feature a slouchy shaft and an ankle strap with a two-ring buckle. Shoes are finished with a ridged sole and a side zipper for easy on and off.